although for ligure it’s impossible to say. that he had found a new element, zircon earth or zirconia. 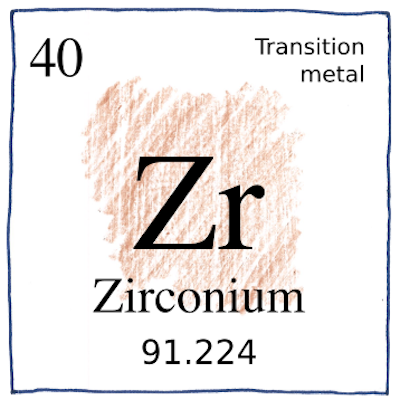 but gave it the name zirconium. to obtain a black powder of impure zirconium. can ignite on warm days. to resist heat and corrosion. used in nuclear-powered ships and subs. The decay of trace amounts of uranium and thorium in zircons have helped date the oldest rocks on earth. We also look for traces of more recent things.